Dearest Mildred, I wrote to you yesterday, and this morning I have your so welcome letter of the 25h. I’ve already had—several years ago—a long argument with Eric about the little pyxBZ.1936.24. (by the way, I don’t think it is a pyx, properly speaking. Many thanks for the photos of it. I adore the jazz-band.Musicians are represented on the pyxis. I defy Eric to produce anything XV–XVI even remotely resembling it, plastically), which he then thought XV–XVI, and I, Xe. He really has no reasons, except that the small figures remind him (as to scale) of XVIe Balkan and Mt. 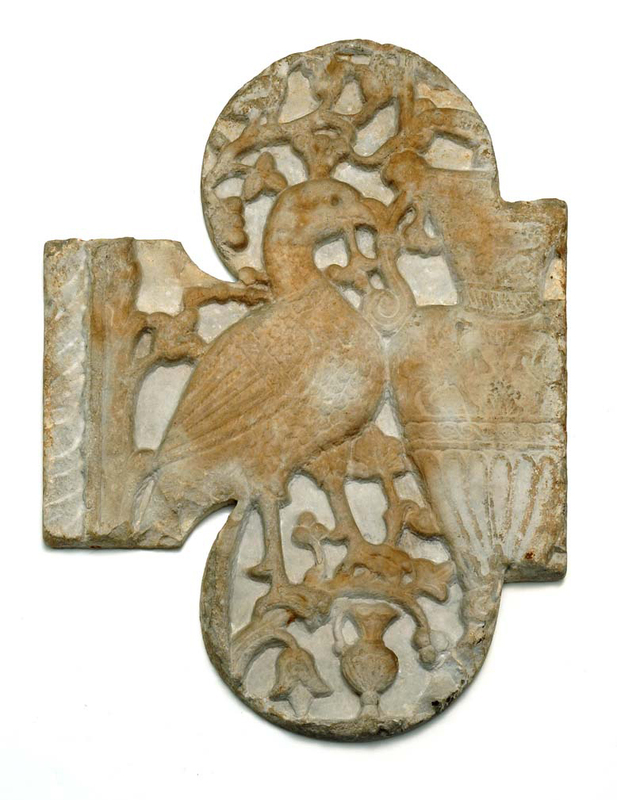 Athos carvings, whereas I have numerous analogies from the Xe and XIe, as shall appear in Vol. IV.L’art byzantin. 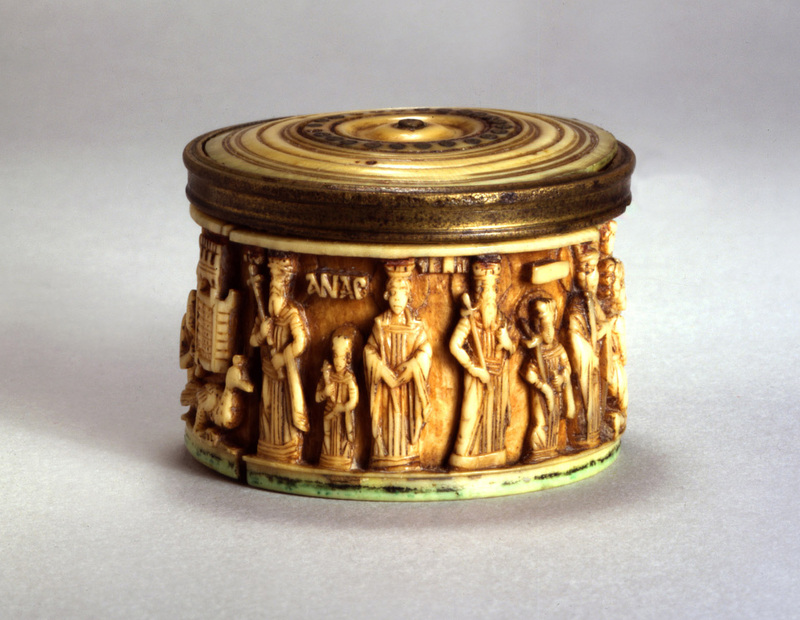 This pyxis is now dated 1403–1404. Eric isn’t at all good at dating ivories, by the way. As for his doubting the comb:This comb has not been identified. it’s fortunate he does, for you; as if he hadn’t doubted it, you wouldn’t have had a chance to get it. What is the international catalogue under discussion?The international catalogue has not been identified. Poor Stoclet—his son’s deathRené Stoclet (1902–1934). He died on December 9, 1934. shattered him, I fear. But imagine, if there were a sale! If there were, there’s one thing you must have: the Byz. stone (amethyst?) chalice [sic]Paten, Byzantine, late ninth–early tenth century, sardonyx, silver gilt, copper, and cloisonné enamel on gold, Musée du Louvre, Paris, inv. no. OA 11878. Adolphe Stoclet acquired this paten from the Pidal family in Madrid. See Klaus Wessel, Die byzantinische Emailkunst, vom 5. bis 13. Jahrhundert (Recklinghausen: Bongers, 1967), 67–68, no. 15. with an enamel of the Last Supper in it. Early Xe, or late IXe. I couldn’t bear it if you didn’t get that—and I think it’s the only thing of Stoclet’s that I actually couldn’t bear your not having. I note dates. Let me have your address in Rome, please. In Naples, see the mosaics in the Cath. bapistry, and the chancel slabs in the little chapel of Sant’ Aspreno (now in the Bourse), and a carving in a side chapel of Sta. Maria Maggiore, allied to your (Stora) peacock.BZ.1936.19. No, I don’t see the Figaro.Figaro, a French daily newspaper first published in Paris in 1826. Very interesting, what you say about opinion there. Good old Georges!This Georges has not been identified. I knew him well in 1917–18. Let me have news, please, as to how the petrol tank is refilling.